We are saddened by the passing of Nancy Reagan. Mrs. Regan brought class and dignity to every role she served – wife, mother, first lady and caregiver. She loved and cared for her 'Ronnie" through the most difficult challenges of his Alzheimer’s and became a vocal, passionate and powerful advocate for the cause, often leaving her at odds with party power brokers over the stem cell debate. BrightStar Care and those touched by dementia and Alzheimer's wish her family condolences and we say rest in peace, Nancy. The wo rld and those who love Rock and Roll lost another legend with the passing of Sir George Martin, the innovative producer for the Beatles. One cannot underestimate the impact he had on their sound. 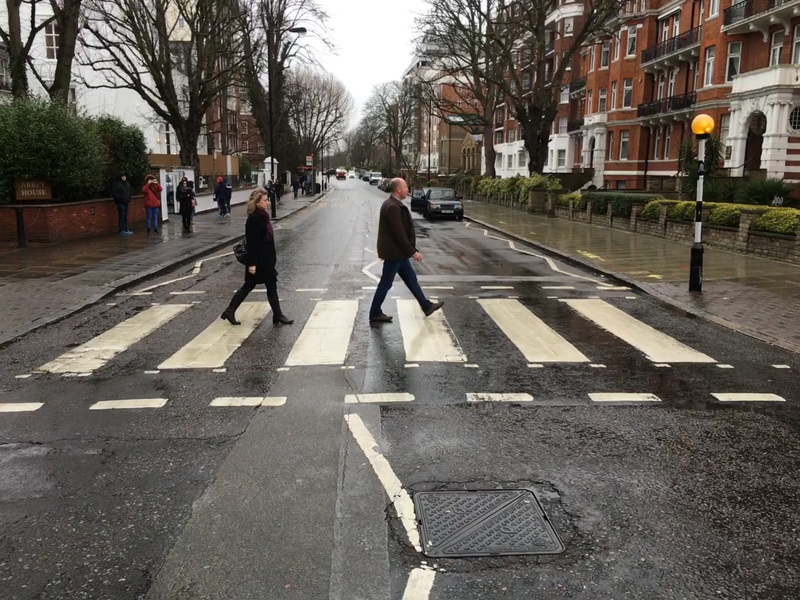 BrightStar owners Sylvia and Dave recently visited London and took this picture on the famous Abbey Road crossing. It’s been a “bucket list” wish for Dave since he purchased the Abbey Road album at age 8. We appreciate the gift of music that Sir George Martin and the Beatles gave us!We appreciate the gift of music that Sir George Martin and the Beatles gave us! His contributions and impact to the world of music were landscape changing and undeniable. Once Martin began, music was altered forever.